Today only Amazon has select craft kits on sale for 20 to 59% off. 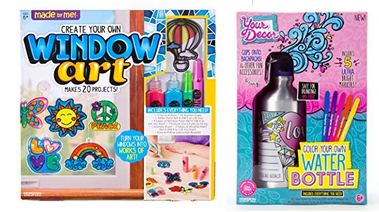 The best deal is the Made By Me Create Your Own Window Art kit on sale for $7.79 (regularly $18.99). The cheapest item is the Color Your own Water Bottle kit on sale for $5.58 (regularly $12.99).